At its meeting on May 26, 2016, the museum’s board approved the assignment of former West Virginia Northern Railroad steam locomotives numbers 8 and 9 to the West Virginia State Rail Authority. In consideration of such transfer of ownership the West Virginia Department of Transportation, Division of Highways released the museum from all obligations under a grant agreement dated August 30, 2011. 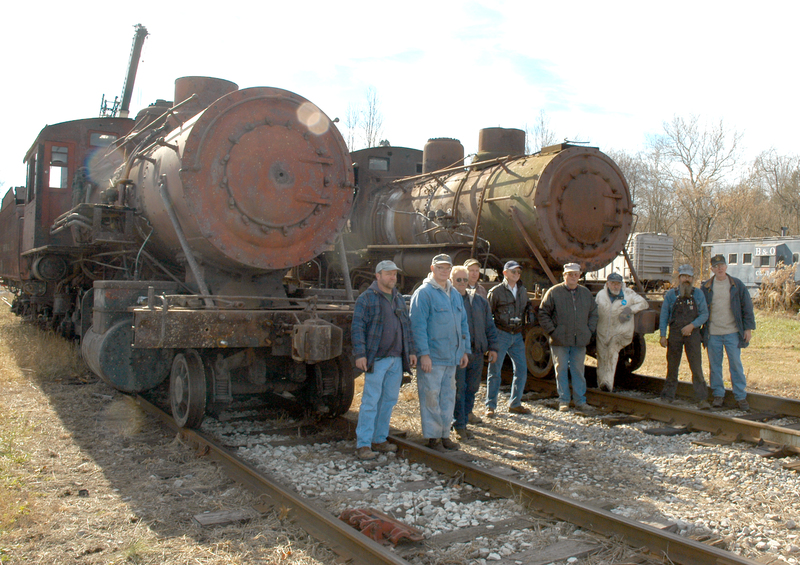 The museum in 2011 had received an estimate in the amount of approximately $165,000 from Sistersville Tank Company to complete the boiler work on locomotive No. 9 and had raised the 20% match for the grant. The department of highways announced the awarding of the grant to the museum in August of 2011 but the department of highways withheld its notice to proceed with the work for a period of over three years. In those three years the cost of the repairs to complete No. 9 escalated over 300%. The museum did not have the resources to expend in excess of $350,000 for the restoration work on No. 9. In the best interest of preserving the vintage locomotives, the museum approved the transfer of the equipment. The locomotives will be transported to Cass, where both locomotives will be restored to operating condition. The railroad shops at Cass are the only facilities in West Virginia where heavy repairs can be made to railroad steam locomotives. Middle Fork Railroad Heisler #7 came back to West Virginia! This logging engine, the last one to leave the Erie, PA plant in 1941, was transported in pieces by truck from the North Carolina Railroad Museum to Durbin WV on June 11, 2004.Serving on the Middle Fork Railroad (Moore-Keppel & Co) the #7 hauled coal and lumber out of Ellamore, WV until being donated for display to Washington, NC in 1964. 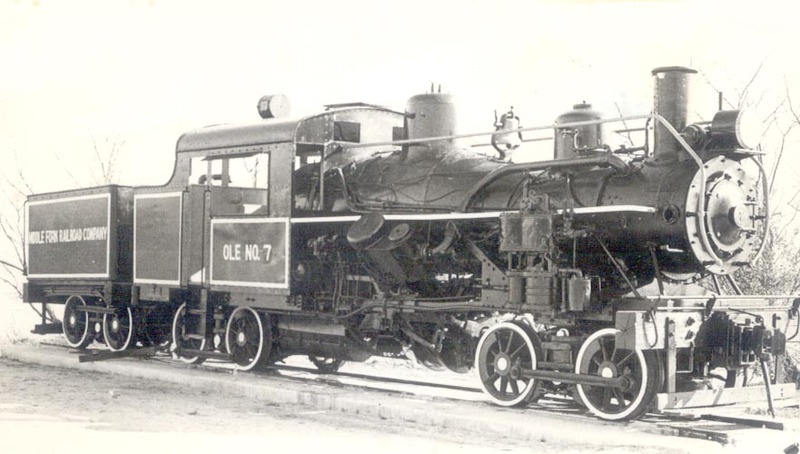 In 1980, #7 was acquired by the North Carolina Railroad Museum which started a restoration project. The WVRRM was able to acquire the locomotive in early 2004. 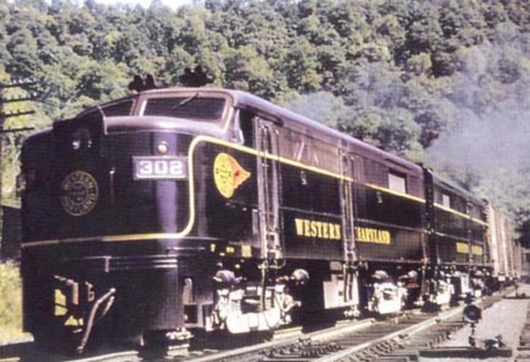 The West Virginia Railroad Museum had made arrangements with the Durbin & Greenbrier Valley Railroad for its transportation from Raleigh, N.C. 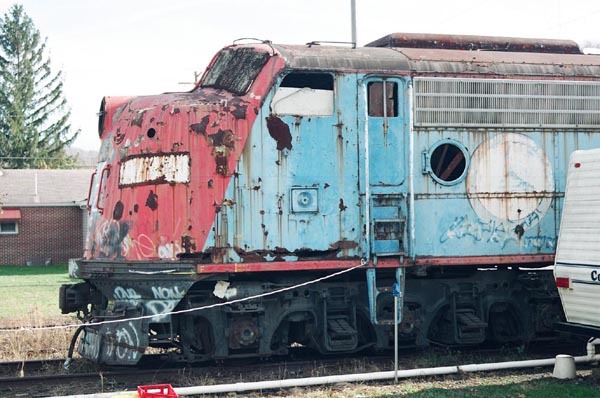 The estimated moving cost of around $15,000 must still be raised before volunteers and the D&GV RR can begin the restoration of the locomotive. According to Lawrence W. Sagle in his book, B&O Power, GM-EMD E-8A #92 was delivered to the Baltimore & Ohio Railroad in 1950 decked out in the beautiful B&O blue, gray and black “Capitol Dome” livery. This 2250-hp passenger road locomotive saw service system wide before becoming Amtrak #210. She ended up in the collection of the Baltimore & Ohio Railroad Museum, and was deeded as a gift to us on March 4, 2004. Due to recent pressing issues with the 2-8-0’s, no firm restoration plan is in effect. Some have suggested that we cosmetically restore it to original livery and use it as a static display until time and resources allow for mechanical restoration. For now, effort is directed to cleaning the junk out of the interior and closing all the open windows. The Western Maryland Railway FA #302 has been moved from New York to Belington, WV. This loco is owned by the Western Maryland Railway Historical Society and has been leased to the WVRRM. The WVRRM will restore it back to operating status. This Baldwin Locomotive Works VO-1000 (c/n 67739) was built in August 1943 for the US War Department and was lettered #7143. US Army #7143 was used at Anniston, AL before being transfered to the Defense Supply Agency as #43001. It was later sold to West Virginia’s Middle Fork Railroad where it worked as MF RR #12. Later it was sold to Cheyenne Sales Company Inc for use at the Rawhide Mine at Teter, WV.The VO-1000 was donated to the WVRRM in May 2006, and finally arrived in the Belington yard on August 20, 2007. Based upon the condition of the locomotive, #12 will run again.